Leading two wheeler manufacturer, Honda Motorcycle & Scooter India(HMSI) has announced that it has completed sale of 5 million units of its flagship brand Honda CB Shine, which has registered the record of being the largest selling Indian bike in the 125-cc segment and the largest selling motorcycle in the world. The 50th lakh CB Shine unit was rolled out from its Tapukara, Rajasthan plant. 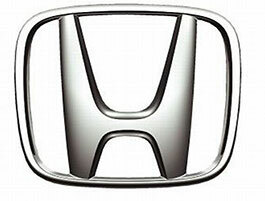 Honda introduced this brand back in 2006, and ever since it has generated a huge demand among the consumers. Reportedly, this is the only brand in the world in 125-cc segment to cross the 5 million mark. Hero MotoCorp, Bajaj Automobiles and TVS Motors are among the other leading manufactures in the two wheeler manufacturing industry, who are considered to be the major competitors of Honda in India. To avoid the hassles of the increasing traffic on the roads, and due to a rise in the per capita income of the so far economically backward class, the demand for two wheelers is expected to stay robust in the coming days as well.